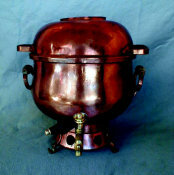 Spectacular Tombak Bronze Samovar in perfect working condition. Mid 19th Century. 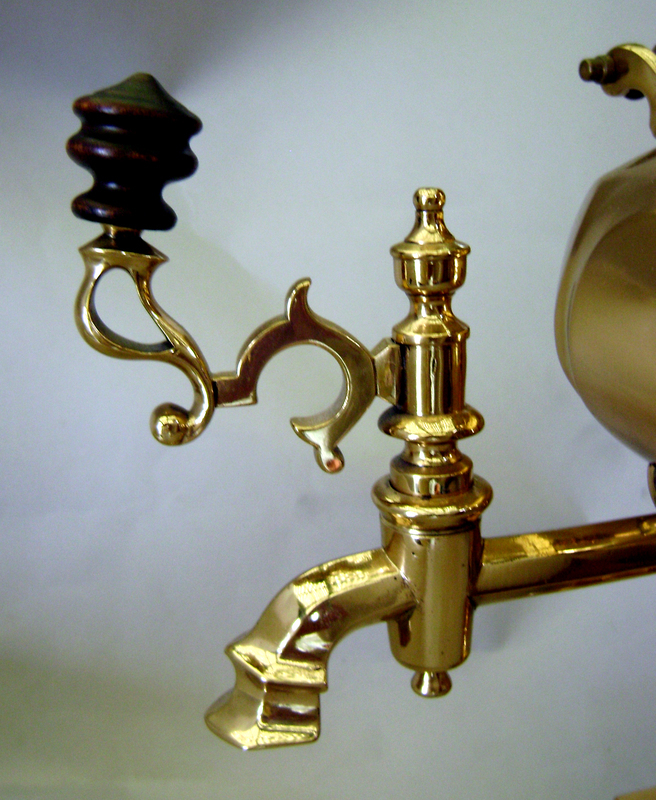 Outstanding design details. 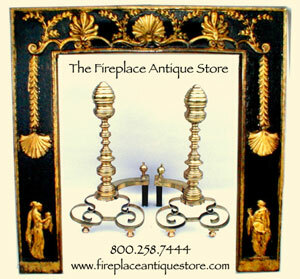 Elaborately fluted Turnip shape with Pearled upper rim, decorated S-scroll handlepieces, and a double pierced waist. Set atop a square, footed base with pad feet and marker's marks: N.I. Batashev. 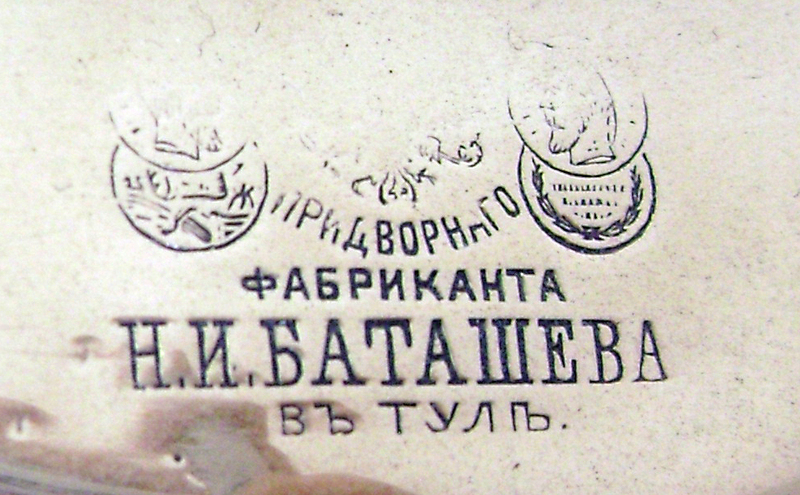 With elaborate inscription on base. 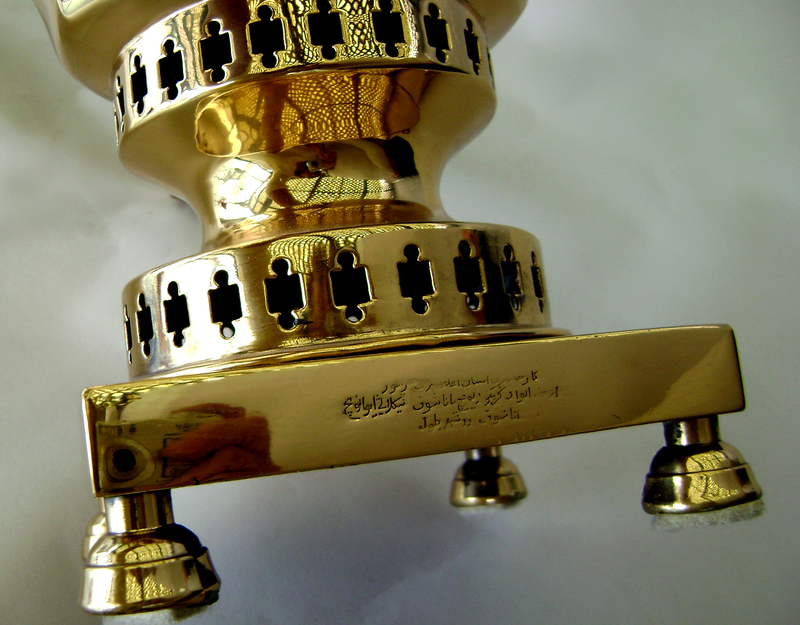 Award Stamps, matching Tombak finials and fittings. 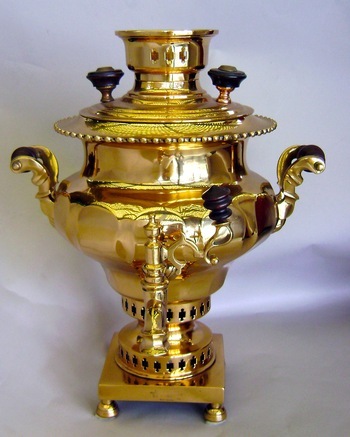 An outstanding Samovar of the red-gold color that is only Tombak.